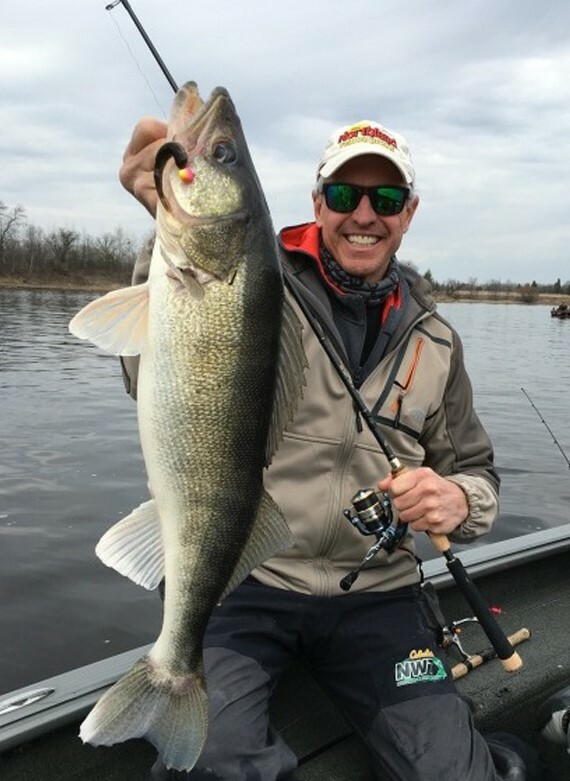 Springtime walleye spawning migrations offer anglers a chance to enjoy some of the year’s best fishing for ’eyes of all sizes, from tasty eaters to sag-bellied trophies. The trick to tapping this annual rite of spring is being in the right place at the right time, with the right presentation. While you can catch spring-run walleyes in a variety of streams and rivers, some of the fastest action occurs in tributaries of large lakes. 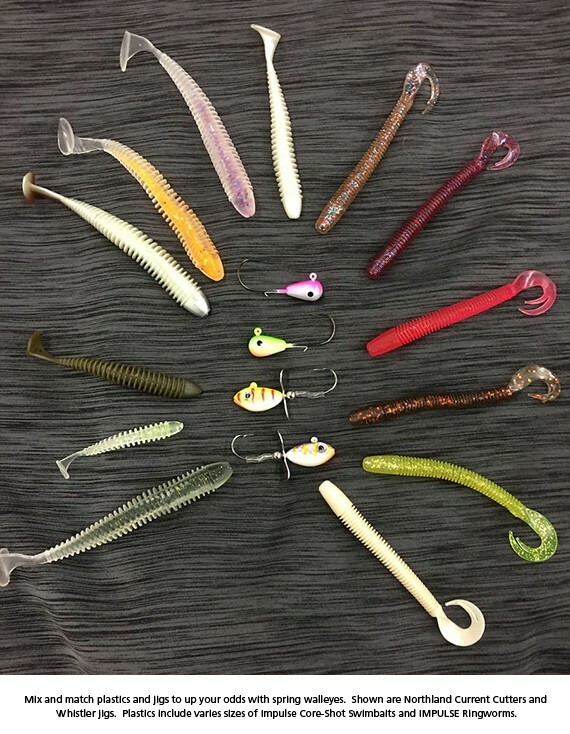 Classic examples include the Rainy River, which flows into Lake of the Woods, and the Saginaw River at Lake Huron’s Saginaw Bay, but you can find fish stacked up in inflows virtually across the Walleye Belt. March and April are prime times in many fisheries. Online fishing reports and social media posts often track the action; local guides, bait shops and state fishery agencies are also great sources of information. Hard-bottom flats above and below holes are great places to intercept migrating walleyes. Key depths vary with water conditions. Low and slow scenarios push fish deeper, while high, fast water sends walleyes toward the bank and even into backwaters. Bladebaits, lipless crankbaits, jerkbaits and 3-way rigs catch fish, but it’s hard to beat vertical jigging. 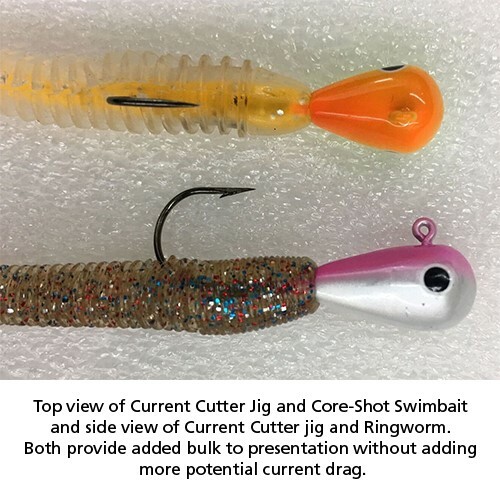 Northland Fishing Tackle’s hydrodynamic Current Cutter Jig is my top choice because it slices through strong current and has a wire keeper for holding plastic trailers like Northland’s IMPULSE Core Swimbait or Ringworm in place. I generally add a piece of meat like a minnow above the plastic for extra bulk and taste. 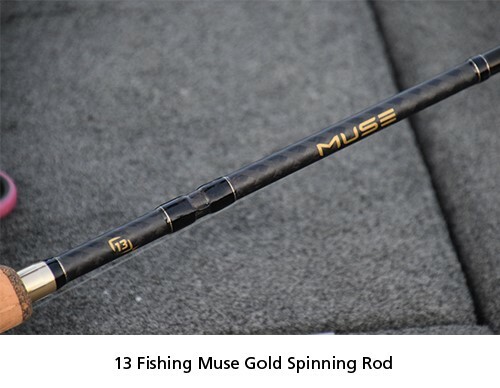 Gear-wise, I favor a medium-action spinning rod like 13 Fishing’s 6’-9” Muse Gold, with 6- to 10-pound-test Bionic Walleye Braid mainline, tied direct to the jig in low-vis conditions common in many rivers. Experiment with jig strokes to see what the walleyes want. Sometimes hovering in place is best; other times hopping or standard bottom-bouncing tactics put the most spring walleyes in the boat.